dance.net - African dance course 2005 (5155907) - Read article: Ballet, Jazz, Modern, Hip Hop, Tap, Irish, Disco, Twirling, Cheer: Photos, Chat, Games, Jobs, Events! 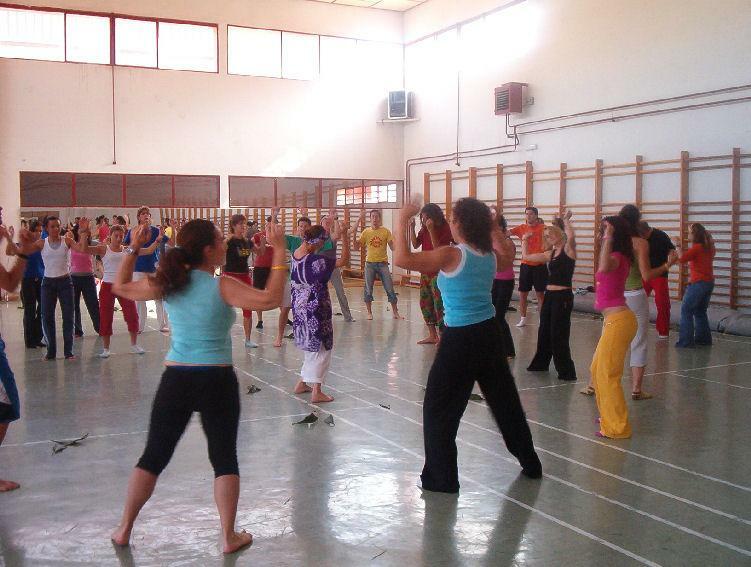 that´s a picture of a dance course i assisted last year, one of the classes they offered was african dance, and as you can see there are fig tree leaves on the floor, the teacher is the one that is in the middle of the group in purple. We used the leaves for warning up, it was really funny, she invented a dance with the leaves for warning up, i love that woman because she is really positive, and it´s not only dance what she teaches, she gave us cultures and values in few hours. That picture looks great. And I'm touched by the message of the teacher concerning Africa. The great continent with potentials but plagued with all the negative things that make life not easy at all. We hope, that gradually and one day things will change for the better in Africa.